We engaged Allen Real Estate as a buyers agent for our first out of state investment purchase. WOW was I impressed! We had Micah onboard to assist with our search and purchase. The knowledge, professionalism and expertise was like nothing I have experienced before. I was so impressed,I will be using Allen Real Estate and Micah for my second purchase shortly. Micah has my full trust in finding us another investment grade property. For anyone who says they can’t afford this service. I say you can’t afford not to have Andrew Allen and his team on your side. They take care of everything and liaise with all your professionals, from your Mortgage broker to your lawyers to your building and pest inspectors, they are hands on from start to finish, which is a relief for any professional who is time poor. I engaged Allens Real Estate to assist with the purchase of an investment property in Brisbane. I had Micah Keall-Grant assist with this, and was impressed with the his work. Micah took the time to understand the brief and the client, all which went a long way to weeding out the properties that weren’t appropriate, to finding the property that ticked most of the boxes. Thanks again for all your work! We highly recommend Allen Real Estate buyers’ agent service. Micah’s professionalism, expertise and passion for his work is evident throughout our engagement of his service and even after the deal was done. Micah was attentive to our buying criteria and balanced that with his expert opinion on what qualifies as a high-quality, investment grade property. We benefited greatly from his extensive local knowledge of our target areas. Micah is also a good mentor and was patient in pointing out all the pitfalls and mistakes that less savvy investors could make. As a result, we find the decision making and buying process to be smooth and hassle-free. Micah and Andrew Allen real estate are always on hand whenever there’s any potential issue. We are happy with the latest addition to our growing portfolio. Thank you. I would like to pass on my appreciation of Micah and his efforts for making purchasing our first investment property a really positive experience. Micah was extremely helpful and patient in walking us through each step. He very quickly understood our requirements and was able to communicate this understanding very well to set up a very trustworthy relationship from the beginning. This reflects very well on Allen RE and I will be recommending Micah and Allen RE to anyone interested in purchasing a property in the Brisbane area. I am hoping to get a similar experience with the Rental Management side of the business looking forward. Thank you to the team at Andrew Allen Real Estate for assisting us secure our first investment property. As first time investors we had many questions all which were answered and appropriate guidance provided. The team provided a comprehensive level of service giving us piece of mind when making decisions throughout the whole purchasing process. I recommend Andrew and his team and would not hesitate to use again. Thanks. I just wanted to take a moment to say how much we enjoyed working with AllenRealEstate in general and Micah in particular. Micah was so patient with us, but even better he managed that line of being totally professional while being so personable. He worked hard to get to know us as people and allowed us to get to know him. I found him to be knowledgeable while freely admitting when there were things he was unsure about or didn’t know. I enjoyed how he was willing to share information that helped me have a much better understanding of the whole process and properties in and around Brisbane. Not only did we find a house that we both love and fits all our needs, I think we also found one that is a decent investment. We won’t hesitate to use him or AllenRealEstate again. The overall service provided by Allen Real Estate was highly professional. Our Buyers Agent – Micah Keall-Grant was outstanding throughout the process. He was committed to our vision and overall goal and at no point did he pressure us into buying something that we were not 100% sure about. His attention to detail was second to none and nothing seemed to be too much to ask. We would not hesitate to use his services again in the future! Working with Micah was fantastic. He was able to work fast and diligently on recommendations and then move swiftly to secure a property which only became available because another purchaser failed to settle. We moved rapidly and secured the property at a discount with little competition from other offers. We are very happy with the purchase and look forward to purchasing again with Allen Real Estate!!!! This was the second time we have had Micah buy a property for us. He was professional, organised and has excellent communication skills. We trust his judgement and Micah provides detailed and well reasoned feedback. Thanks again to Micah and the team, for making the purchase a stress free and straight forward process. I can highly recommend Andrew Allen Realestate as a buyers agent. We always felt that our satisfaction was their number one focus, nothing was ever too much trouble. Micah was great to work with, knowledgeable, patient and always available and happy to chat about anything. Micah is also very thorough and showed attention to detail from the search phase right to settlement when it was most critical. He attended building and pest inspections which I thought was great and it really felt that his goal was to only find us a property that he would be happy to buy himself. This was the second time we have had Micah buy a property for us. He was professional, organised and has excellent communication skills. We trust his judgement and Micah provides detailed and well reasoned feedback. Thanks again to Micah and the team, for making the purchase a stress free and straight forward process. I can highly recommend Andrew Allen Realestate as a buyers agent. We always felt that our satisfaction was their number one focus, nothing was ever too much trouble. Micah was great to work with, knowledgeable, patient and always available and happy to chat about anything. Micah is also very thorough and showed attention to detail from the search phase right to settlement when it was most critical. He attended building and pest inspections which I thought was great and it really felt that his goal was to only find us a property that he would be happy to buy himself. Micah was persistent and patient in our search.He worked hard to find the right property, and demonstrated skill, and knowledge through the whole process. I had confidence that he was transparent and acting in my interests. I could not have achieved the outcome that I wanted without him. Andrew Allen buyers agents made the whole buying process uncomplicated. We have enjoyed dealing with Micah. He is thorough,detailed and very pleasant to talk to. He summarised the properties in a straight forward manner, which was very understandable. He quickly understood our needs and preferences, but also provided valuable input and guidance. Micah was always available to discuss any questions and always quick to respond. Looking forward to using your services in the future. I would highly recommend Allen Real Estate as a buyers agent and have done to family and friends. The service provided from first contact with Andrew and then through the whole purchase with Micah was outstanding. At every stage of the process of purchasing an investment property Micah acted with outstanding professionalism and work ethic. Micah attended many inspections and provided me with extremely detailed information to ensure I had a very good understanding of the suggested search areas to fit my specific needs. Micah never failed to answer the phone to talk over and guide me through issues as they presented through the entire process from inspection to formulating an offer which included tailored conditions aimed at increasing the attractiveness of my offer to my particular sellers, to a detailed run through of the pest and building inspection, to settlement and post settlement. It has been an absolute pleasure dealing with Allen Real Estate from the first interaction with Andrew Allen to the conclusion of our purchase with Micah. Everyone is professional and knowledgable and they make the process easy and stress free by guiding and keeping on top of everything. We were always clear on what was needed every step of the way. Andrew and Micah listened to the brief and delivered on it more quickly than we could have expected. The advice on how to approach the actual purchase was spot on. In summary we would not hesitate to use Allen Real Estate again and thoroughly recommend them. Andrew was great. It would be easy to just end it there, but it’s worth stating that I would gladly recommend Andrew to anyone I know who is looking to buy in South East Queensland. He was always quick to respond to any message/email/phone call, always on the ball with property inspections, and all throughout the process all information provided was timely and informative. At every step of the process of the “Full Search”; Andrew was there with the right information, pictures, thoughts, documents and anything else I required to make as much of an informed decision as possible. I also liked the fact that there was no pressure to decide on any particular property. In summary, I would gladly go with Andrew again the next time I’m in the position to buy again in South East Queensland. We had been looking to buy an investment property in Brisbane for a while, however as interstate investors we found that we couldn’t work out a clear direction or get past the ‘looking’ stage. We came to Andrew for assistance after recommendations from various people and really appreciate the help and service he provided. After discussing our situation and requirements with Andrew, he helped us come up with a clear plan and direction. 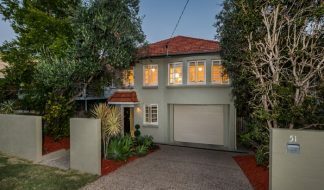 Andrew’s extensive knowledge of the Brisbane property market is exceptional and within no time at all presented us with various options that met the criteria. We decided on one of the properties presented and Andrew went into negotiation mode which resulted in a purchase price well below asking price. His expertise and experience made us feel confident that we were making a solid investment and he was right there every step of the way. Within one week of settlement, the property has been tenanted and we are on our investment journey. We would definitely recommend Andrew to anyone looking to purchase a Brisbane property and we will be using his services again. As an interstate buyer, I found Andrew’s service to be excellent and well worth it. Andrew is extremely knowledgeable on the Brisbane property market and did a fantastic job in securing a property that matched my criteria. I found Andrew’s customer service to be great, Andrew was always in contact with me to provide updates about property inspections or just for a chat to discuss the plan moving forward. As this was my first property purchase I also found Andrew’s knowledge and experience of the property purchase process to be invaluable – there were a few occasions that i would have made a not so good decision had Andrew not steered me in the right direction. If i was to purchase a property in Brisbane again, I would definitely use Andrew’s services again. Thanks for all your help, and helping us find our first interstate purchase. We have never used a Buyers’ Agent and were delighted with the property your found for us. Your research on the property, photos and communications were very thorough and the whole process was rather seamless. Pity we couldn’t say the same about the bank!! but the purchasing team – including your referred professionals – made everything a lot easier than if we had tried to “go it alone”. Andrew was always professional and helpful, and I felt my property search was in good hands from the start. He was really good on the communication, which is important to me. I would use Andrew again and recommend him to others. 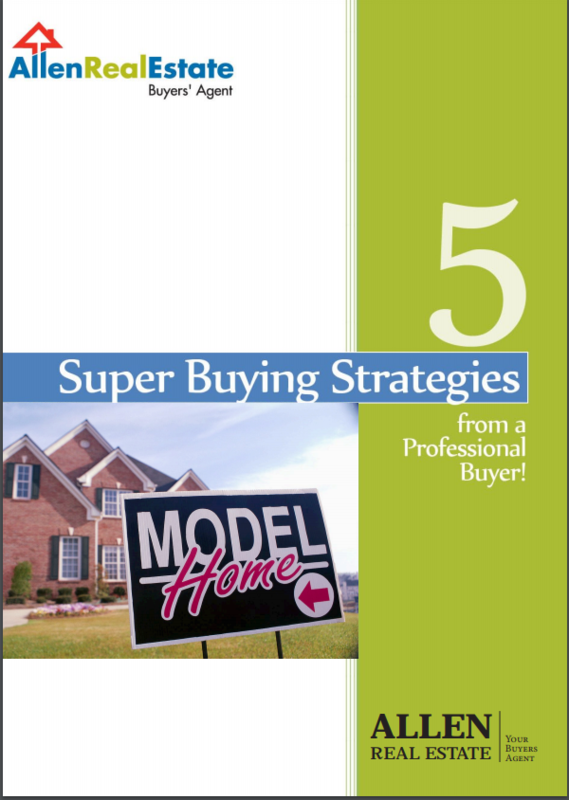 Using a buyers agent saved so much time and gave me peace of mind and a hassle-free purchase. We decided to use Andrew’s services as we were relocating to Brisbane with the intention of buying a house in a short amount of time in a city that we had very scant knowledge of. We sent Andrew a list of requirements for our ideal property, with the expectation of having to compromise, and within a month he had found us a property that ticked every single item on the list. Andrew took away a lot of the stresses associated with buying a property. He gave us professional advice, and provided factual data and research that enabled us to make an educated decision. He assisted with price negotiation and prevented us from paying above the odds. He also saved us a lot of time. I would definitely use Andrew’s services again, and will be referring him to friends and colleagues who are looking to purchase properties. Andrew was fabulous to work with. He helped me buy my first IP where others had failed. He was very professional, friendly and helped with direction when I was a bit lost. His research and due diligence is outstanding and very through, which gave me much peace of mind. I’d definitely work with Andrew again for the next property and highly recommend him to anyone looking for a good, independent buyer’s agent. Andrew is extremely professional, friendly and patient. He knows the property market and the area very well and has done a lot of homework to every property he short listed for the clients. I was constantly informed about the progress of the house search so I was fully aware of the situation. Buying a property could be a very stressful event but Andrew definitely made it fun and hassle free. Will definitely use Andrew’s service again for future purchase and recommend it to all my family and friends. I am extremely happy with the service I received from Andrew when buying my investment property in Brisbane. He was very patient with me when I had to stop and catch my breath a couple of times before proceeding on in what is a big commitment for me. He is very through in his research and has a great deal of knowledge about the Brisbane real estate market. His recommendations and judgements are sound. I was very happy to have found Andrew to help me with my purchase and trust him completely. I have bought a very good investment property that I’m sure will prove to be an excellent asset. I would use Andrew’s services again for sure. Andrew put a lot of heart into finding a property for me, providing data and reports and continued to invest more time beyond what “normal” buyer’s agents do. He was able to work with a change of direction, narrowing down the search and then working to get the deal over the line. Initially I felt that the process was slow, and I was in no rush so didn’t push too hard, but Andrew was calm and patient to work through the activities and the requirements. 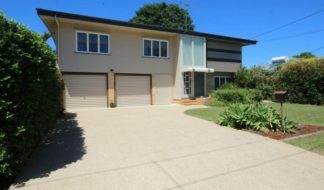 One of the standout activities was his support during the offer process, the negotiations and aligning all peripheral services such as inspections, brokerage and the finer details of QLD property purchase. He continuously kept me in the loop and updated me on all activities which was great. Thanks again – I’d use Andrew’s service any time again and can highly recommend him. It also helped me to understand the purchase process better, and I’ve learned a lot which is always a great thing. Andrew Allen provided a very thorough and personalized service. He has excellent knowledge of the local market, the current conditions, and the best type of negotiation skills to use in a particular market at a particular time. He was willing to diligently look for a suitable property and was honest when a property did not meet the appropriate selection criteria. He used these skills to value add to his service as it would have taken me considerable time to acquire similar market knowledge, and being an interstate investor this is not practical. This lead to the selection of an appropriate property in which I am very satisfied with the price paid and rent achieved. He makes it easy to do business as he is very approachable and always contactable even at unusual hours. The way in which he provided an appraisal of a particular property was very professional, with plenty of photos, videos, descriptions, and reports on due diligence issues. When I flew to inspect the selected property it felt like I had already been there due to how thorough his ground work had been. If looking to use a buyers agent, I would highly recommend the use of Andrew Allen as he is professional, knowledgeable, approachable, honest, and will do his best to find exactly what you’re looking for. Andrew Allen was a pleasure to deal with. Our initial email enquiry was promptly returned with a phone call the next morning, and that set the tone for the rest of our dealings. Prompt, efficient and informative – we were impressed by the amount of detail that Andrew puts into his research. Thanks Andrew for all your help. Money well spent and we wouldn’t hesitate to recommend Andrew’s services for future purchases. Many thanks for you assistance in purchasing our first IP. Your professionalism, patience, knowledge and friendliness made our experience purchasing our property an enjoyable, stress free one. Your service has exceeded our expectations on many levels and through your extensive knowledge and research, you assisted in securing a property at a price that also exceeded our most optimistic expectations. I would have no hesitation is recommending your services to anyone looking to purchase property. The service more than paid for itself and saved us countless hours of searching. I would recommend Andrew’s services to anyone interested in purchasing property in the Greater Brisbane area. Once the search began properties for my consideration came in steadily complete with comparables, pictures and any other data I needed. Andrew listened to what I wanted and adapted the search to my needs as required. Andrew dealt with property managers, tradesmen, solicitors, lenders and estate agents on my behalf in a professional and effective manner. His reports and opinions on each property inspected were very informative and included a video of the home to give a better understanding of how each property looked. Andrew also offered a hand in obtaining a property manager for us by interviewing and recommending some agents for us to decide who would be most suitable. He also arranged pest inspections and depreciation reports on our behalf and coming from Melbourne this service was fantastic. He picked me up from the airport, arranged an inspection of the property and also showed me around the suburbs that I had been interested in. Then dropped me off at the airport once we had finished the inspection and tour. I would thoroughly recommend Andrews services for any one buying in Brisbane and surrounding areas. I will use Andrew again for our next purchase. Purchasing our first property was felt daunting, especially being overseas however Andrew and Amanda made the process as seamless and stress free as possible. We felt assured by their extensive knowledge of the Brisbane market, never felt pressured to settle on a property that wasn’t 100% right and found their communication through the entire process to be excellent. The service they offer is very personalised and we would definitely recommend Andrew and his team to other prospective buyers. We look forward to using them again in the future! Thank you Andrew for your valuable feedback/knowledge. 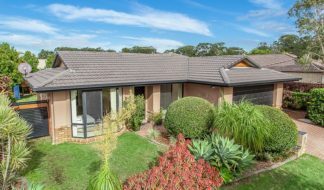 Being an interstate purchaser and not seeing the property I felt more comfortable and reassured having someone that’s been recommended on property forums to view and assess the property. Your data research/information has helped me go through with purchasing my first property sight unseen. I valued your objective feedback and trust your recommendations. Your point of contacts have also provided excellent service. Spending time outside business hours to discuss further concerns have been most appreciated. I have no hesitation to recommend your services to other property investors.